This originally appeared at the Good Men Project and I thank them for the exposure. Back in my bar days more than once we started and accomplished a drunk just talking about welding. I recall a guy who worked on 6″ thick aluminum tank armor discussing tricks. Another pal had learned from ship makers and tried to explain how they could move massive plates into alignment with the heat of the weld. As with most besotted lessons I didn’t learn how to do these things, but I was aware of the possibilities. A good man’s skill set includes changing physical things, to create wealth & tangible items, to make & repair. A good man knows you can’t heal the world, but you can change your immediate surroundings. In much of the country the question is “who’s got a welder?” I’ve heard plenty of guys say I wish I knew how to weld. I can weld, I’m not a welder. 2– Safety Rules. I’ve rarely started a fire with a clean station and a fire extinguisher handy. Don’t stand in a puddle of water. Work in a well-ventilated place. The leather thing is not a Village People thing- protection goes a long way towards strong welds; it is tough to concentrate on the puddle when you are on fire. 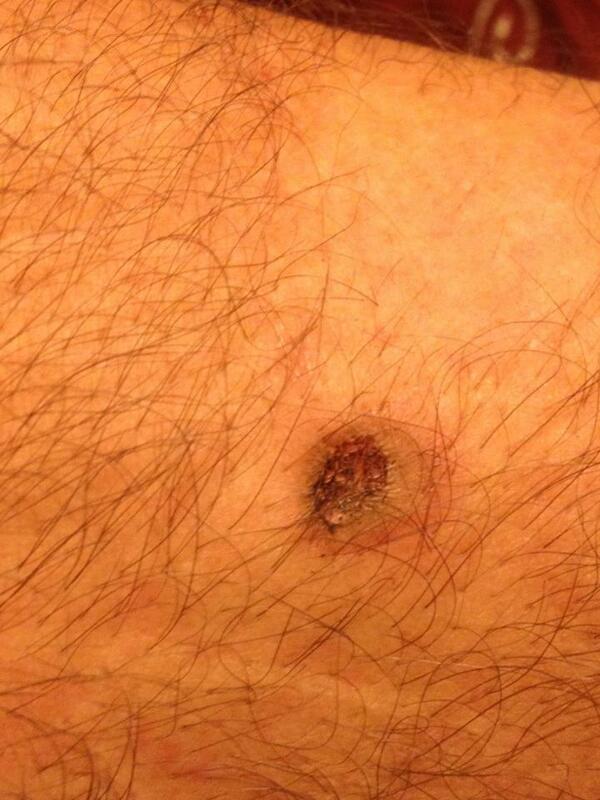 You don’t need the full kit- but don’t wear polyester which will melt and weld with your skin. Yeah I know; eye protection is for sissies & one-eyed mechanics, I wear glasses under the welding helmet or face shield. I wear a leather apron because I’m tired of pulling cup brush needles out of my scrotum. Once you use an auto-darkening helmet you’ll never go back. 3- MIG Welding is not as easy as caulking. [neither is caulking .] You can buy a wire feed welder for the cost of a golf outing. Get a pile of scrap, cruise YouTube and you can make stuff pretty damned soon. Follow the directions, flip open the cover on a MIG welder and there will be a handy guide for setting amperage and wire feed speed. Technically I’ve been talking about flux-cored arc welding. Add inert gas and a different wire and you really are MIG welding-gas metal arc welding- which has it’s advantages. 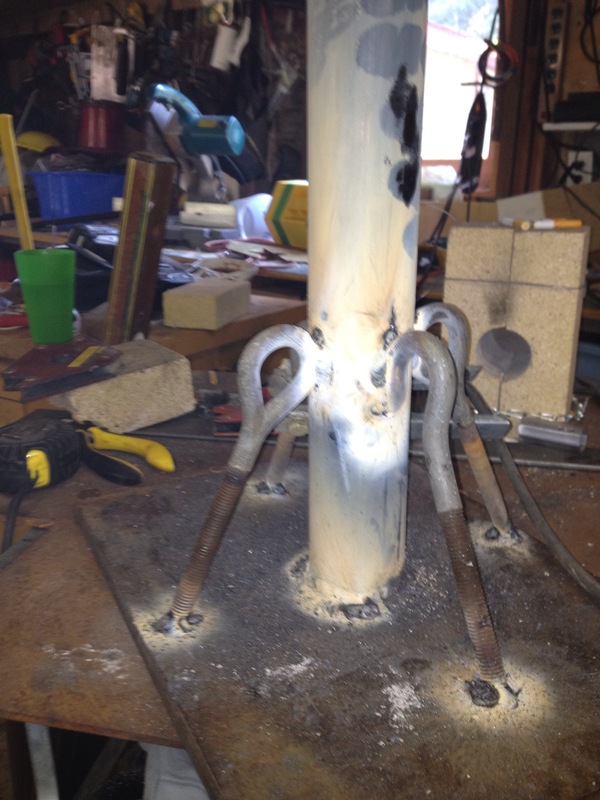 4- Stick welding, shielded metal arc welding isn’t as hard or dangerous as it is supposed to be. It does raise sparks and the work gets red hot. Make sure you have the right electrode, both for your machine and for the application you plan. Read the package for amperage. Buy new rods for anything semi-important; if you are getting anything from this piece you don’t have an oven. Yeah I know it’s not the tool, it’s the craftsman but dry electrodes work a lot more effectively. In my experience woodworking, carpentry, logging and bar tending were a lot more dangerous than welding. 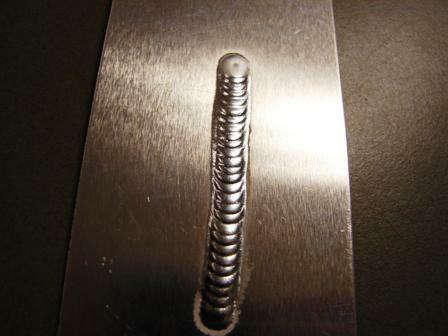 5- I have no personal opinion on TIG welding, other than I pay a pretty penny to have it done, it is worth it and it is pretty. Anyone who would like to assist me in having an opinion on the subject I’m available nights & weekends. I’ll bring my own hand tools and lunch. 7- Cheating isn’t cheating, 40 some years of on & off welding and within the past year I saw a guy guide the end of a new, long, rod to the joint with his off hand- Brilliant. Lay the project on it’s side or set it on milk crates, whatever makes it accessible. You don’t need to make each assembly a 6G test. I recently clamped a plywood angle to the table parallel to a joint I wanted to look great and drew the rod against it; it worked. Clamping is not cheating. 8- Preparation is time well spent, clean rust, scale & oil off of the material. 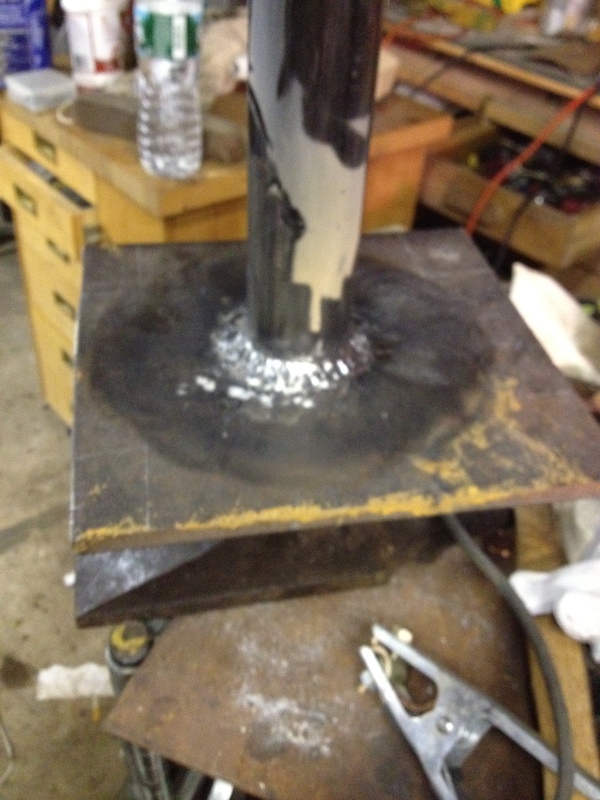 At the level that I weld there is no percentage in blowing through rust, paint and grime. Grind bevels at the joints, space the joints & preheat the pieces. A good ground is as important as a good lead. Make a dry run through the length of the joint, better to know how you will get there before you have to get there, wear your helmet during the practice. Clamping is a must. 9- A stack of dimes bead in not inherently strongest- but when you run one, you will take a picture. 10- Certification is a bit tricky, there is AWS (American Welding Society) certification , In-House certification (let me see you run a bead) and Get-Er-Done (can you fix this?). With a welder in your tool kit things need welding. My rule of thumb is: I’m certified to do whatever I feel comfortable doing. I’ve been paid to make things and that qualifies as certification for that project. That being said I wouldn’t touch anything “go fast” like a motorcycle frame. I would repair a bumper for you. For me I’ve got joist hangers holding up the floor of the bedroom where I sleep most nights that were inspected by an engineer and that I made.